How long do you think an employer actually spends looking at the resume? Not quite as long as you would think. 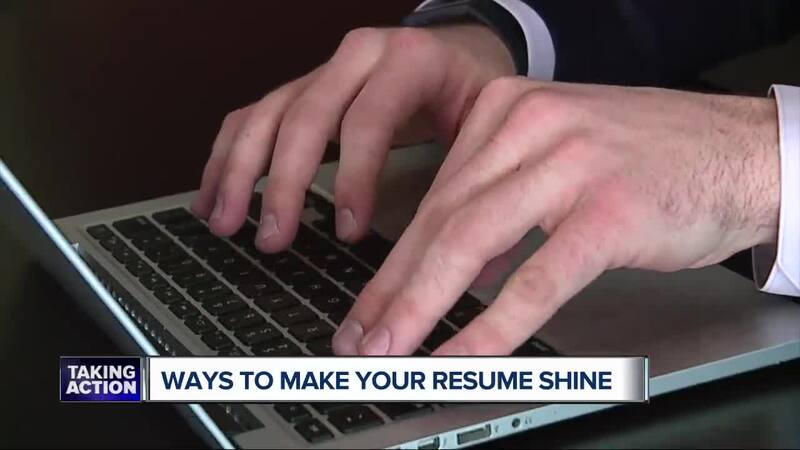 They only take about 15 seconds," said Ryan Miller, a certified professional resume writer at Employment Boost, a career counseling services provider in Troy. That means to get yourself an interview, the resume has to be good at first glance, and that means you have to get rid of the things holding it back. Miller says one of most common mistakes is leading with the objective statement. "You could say you want to do something but if you’re not selling yourself then it’s not going to elicit a call back." Once popular, the objective statement is now a dying trend. Instead, Miller says lead with a professional summary that lays out your accomplishments and skills. As for your educational background, unless you’re a recent graduate, don’t lead with it. Move it to the bottom. The second common pitfall is not using quantifiable metrics. Research shows employers like resumes that show the specifics. In fact, the human eye processes numbers faster than words. Meanwhile, the third pitfall is failing to adapt the resume to the job. Some people make the mistake of sending one resume to 15 different employers without tailoring it to the needs to that specific position. "Certainly, it's a little more laborious, but you're going for an opportunity that you really want....better career, better life. You have to take the time to market yourself," said Miller.